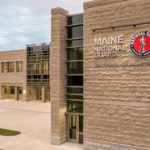 Maine National Guard Joint Force Headquarters (JFHQ), Camp Chamberlain, provides command and control of all National Guard forces in the state. 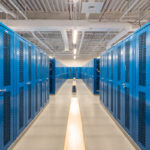 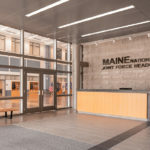 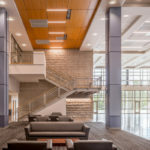 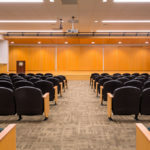 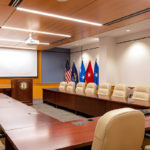 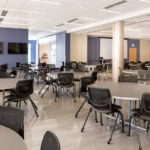 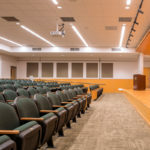 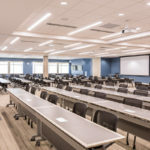 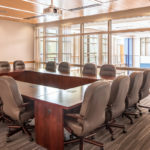 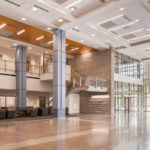 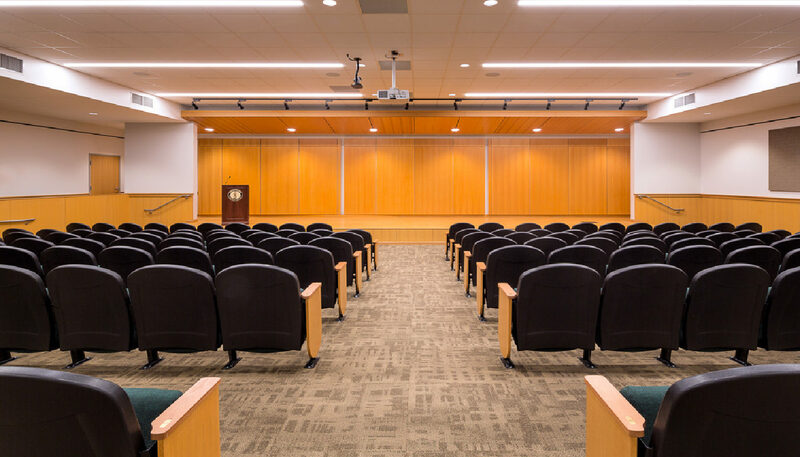 The $31 million project consists of a two-story, 101,700 GSF headquarters for the Maine Army National Guard, Maine Air National Guard, and joint operations facility for the State of Maine during times of emergency preparedness. 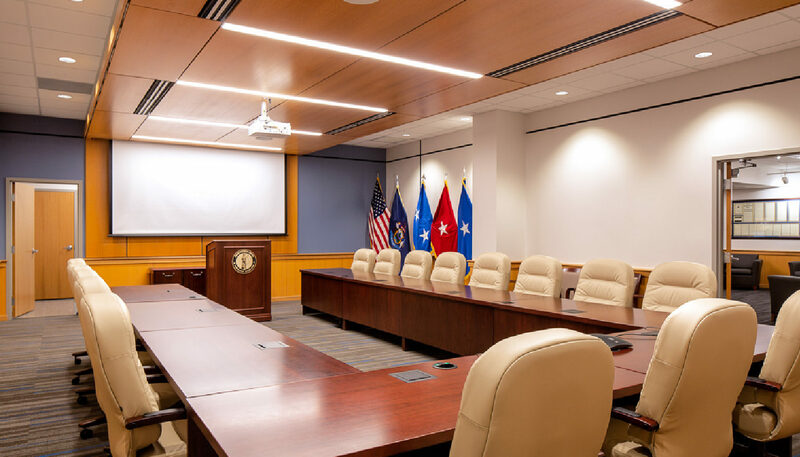 Designed with consulting partner O’Brien Atkins of North Carolina, the new JFHQ includes assembly, training, fitness, classroom, food service, command center, and administrative spaces, as well as parking for personnel and military vehicles, all developed with design parameters and security measures in compliance with Federal project approval guidelines. 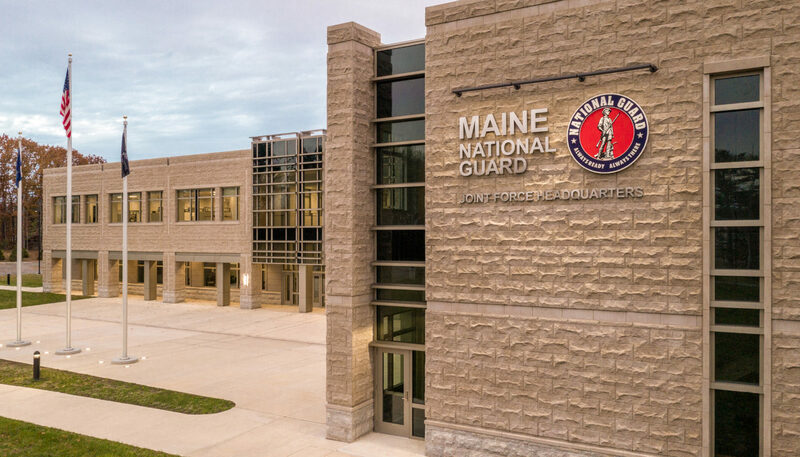 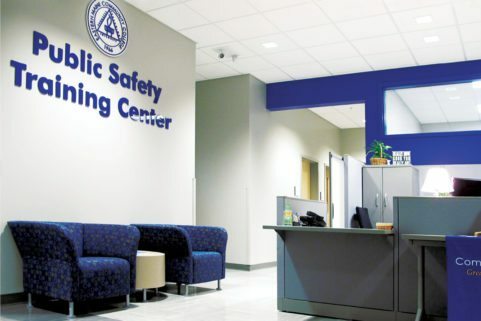 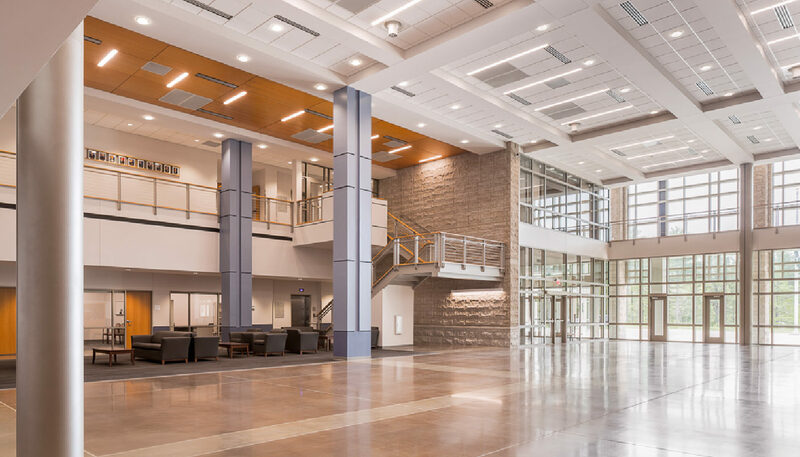 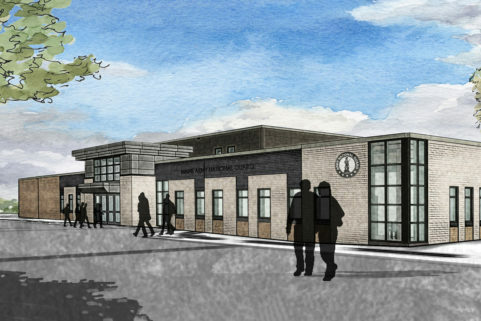 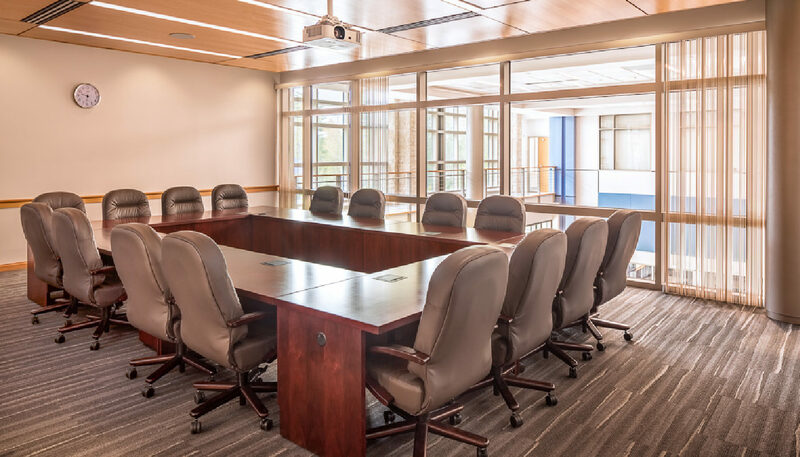 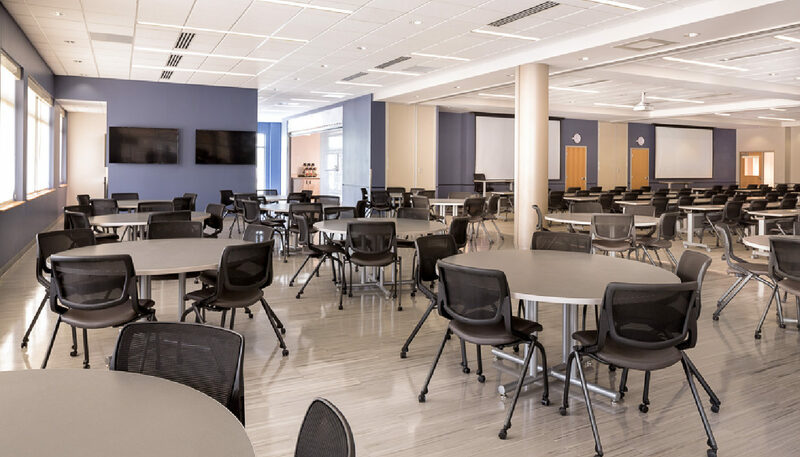 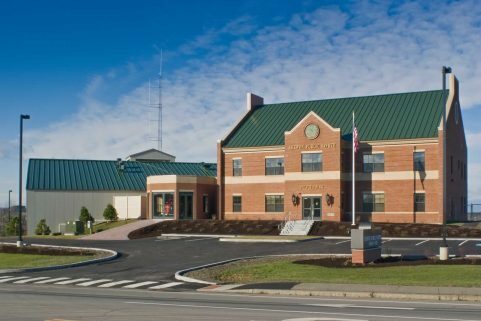 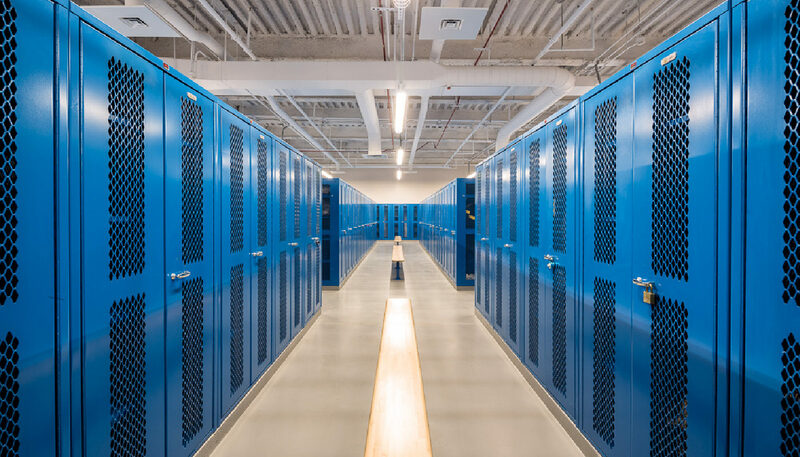 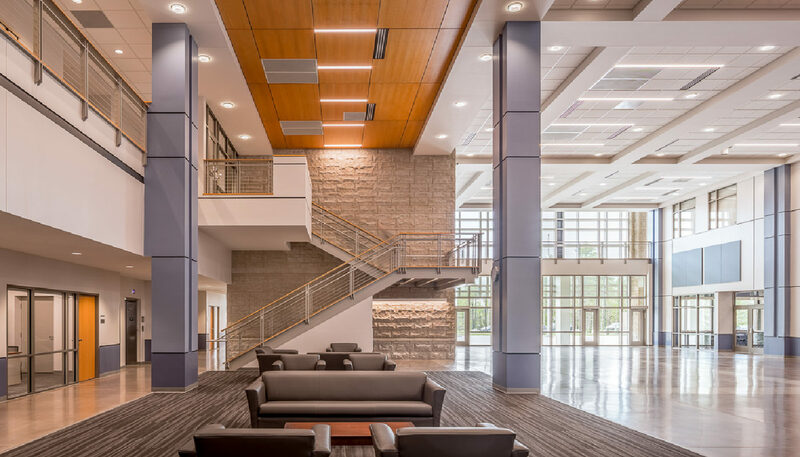 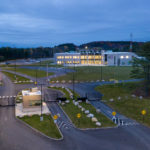 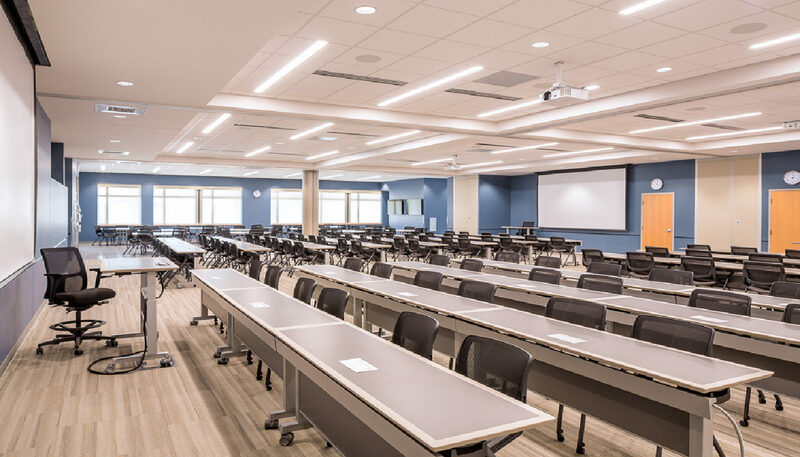 WBRC provided architecture, site/civil design, MEP design, and interiors for this facility located in Augusta, Maine using REVIT and Civil 3D software, and in compliance with DG, NG, UFC, and DoD design guidelines. 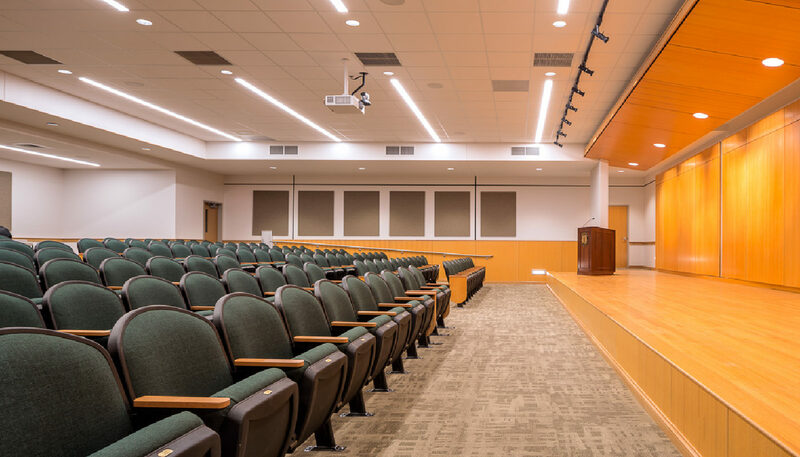 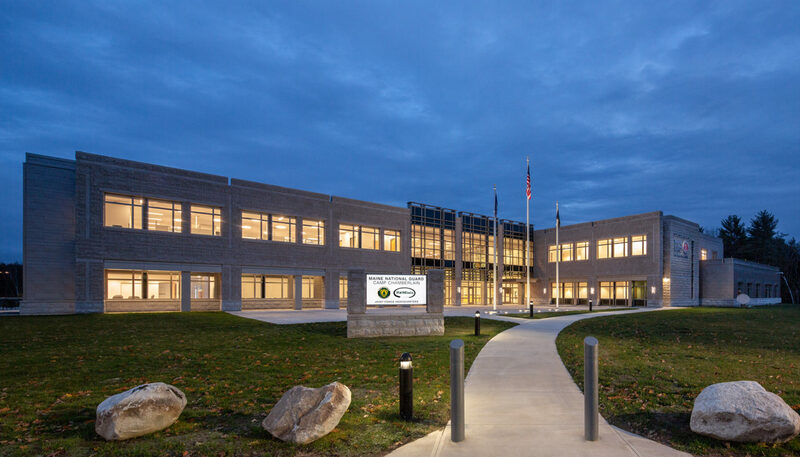 Located on a 43+ acre parcel, off of Civic Center Drive, the JFHQ project scope included 200+ associated parking areas, access drive and vehicle/pedestrian circulation areas, associated utilities, site lighting and landscaping. 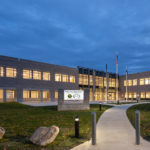 WBRC’s site/civil/landscape group provided site planning options and implemented the preferred site design, executed permitting and construction documents, and provided construction administration and oversight. 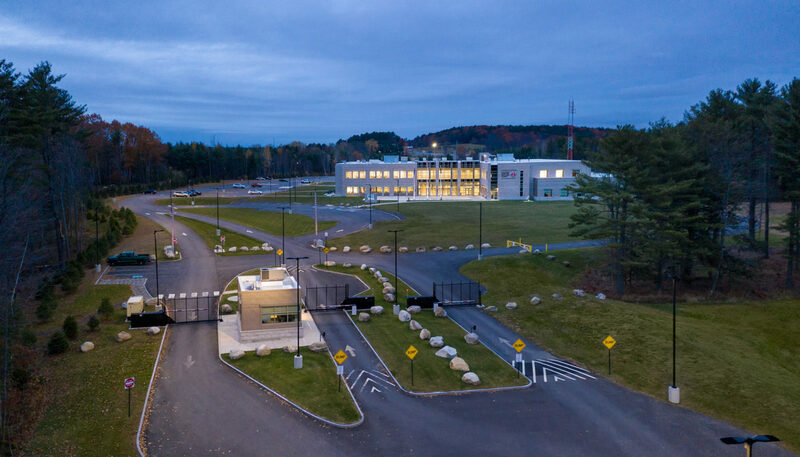 Considerations in the site design include stormwater management of quality and quantity, wetland impact, vernal pool mitigation, stream protection and crossing, visual impact, lighting impact, and traffic impacts. 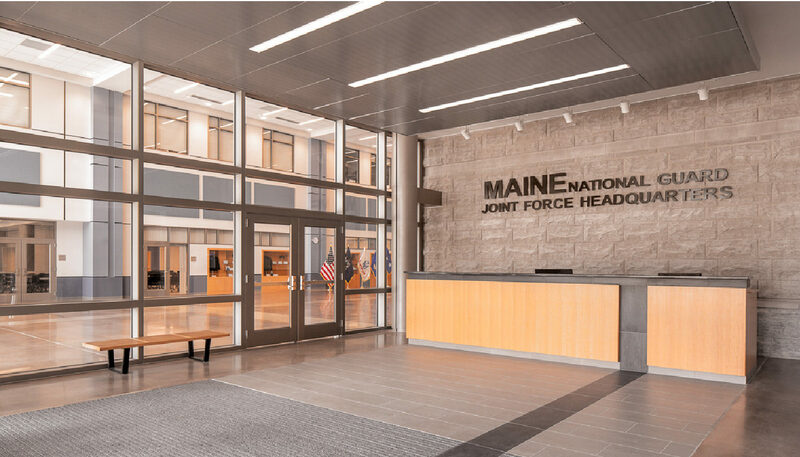 Maine’s JFHQ was designed to exceed a USGBC LEED Silver target.